SolarFocus Technology Company Ltd. has just unveiled one of the most ingenious and practical solar powered gadgets that we’ve seen in a long time — a sun-powered cover for the most popular e-reader on the market, the Amazon Kindle. Made from lightweight material with a solar panel built right into the cover, the SolarKindle, which debuted yesterday afternoon at the 2012 Consumer Electronics Show, has a dual charging USB/solar reserve battery that extends the Kindle’s unplugged reading life for months and makes charging on-the-go a cinch — just one hour under direct sunlight provides up to three days of reading time. The SolarKindle guarantees up to three months of unplugged reading time under a normal sunlight environment, and the cover has a LED reading light built in that can be powered for up to 50 hours without using the Kindle’s battery. 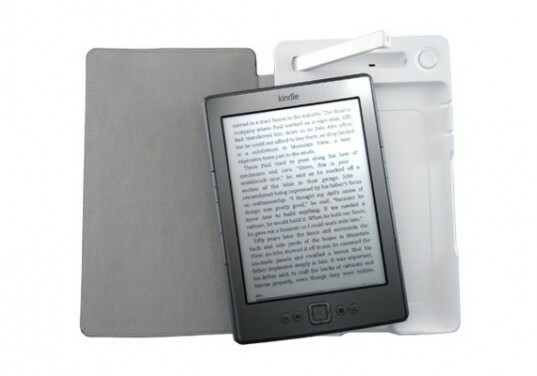 The Kindle easily snaps into the cover, without the need for extra straps or latches. The integrated reserve battery can transfer energy to the Kindle’s main battery to help extend reading life, making the cover perfect for frequent travelers or even off-the-grid situations like camping. The smart, practical gadget is already making waves, having nabbed the CES 2012 Innovation Award. Priced at $79.99, the SolarKindle will be available for sale on SolarFocus’s website starting January 15. 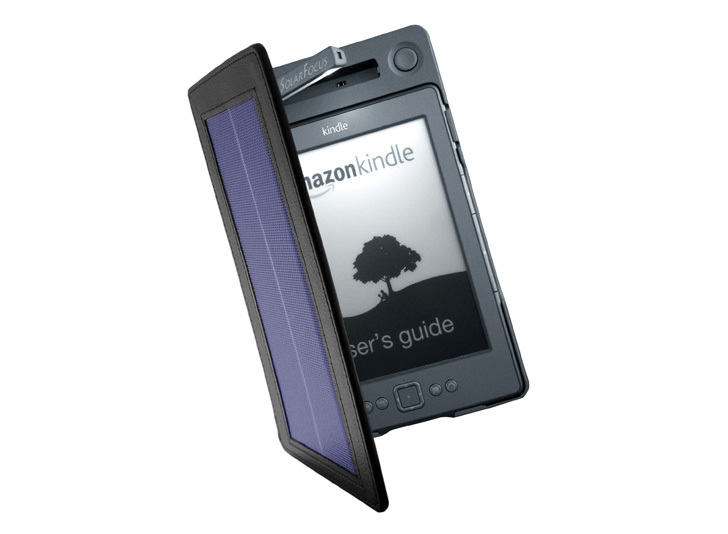 SolarFocus Technology Company Ltd. has just unveiled one of the most ingenious and practical solar powered gadgets that we've seen in a long time -- a sun-powered cover for the most popular e-reader on the market, the Amazon Kindle. Made from lightweight material with a solar panel built right into the cover, the SolarKindle, which debuted yesterday afternoon at the 2012 Consumer Electronics Show, has a dual charging USB/solar reserve battery that extends the Kindle's unplugged reading life for months and makes charging on-the-go a cinch -- just one hour under direct sunlight provides up to three days of reading time.